Located on the outskirts of Syote National Park, you will be at one with nature and close to the bears of Syote. 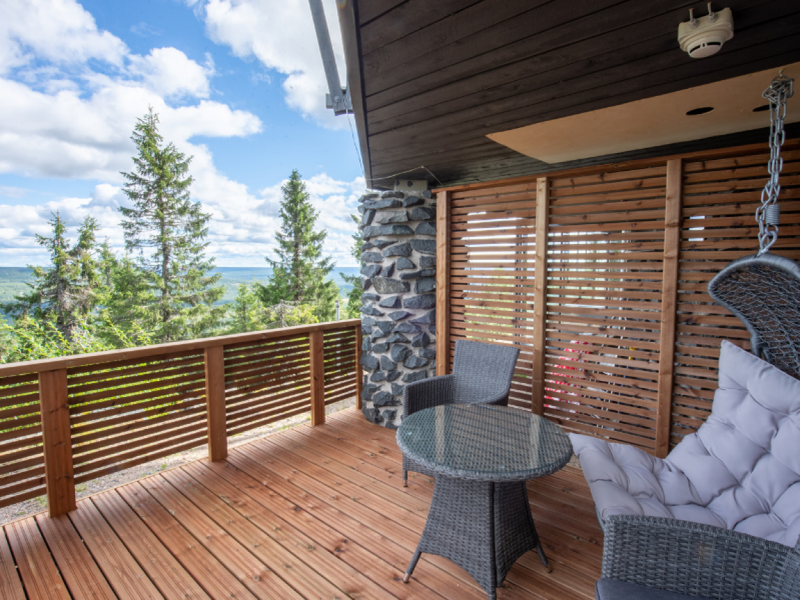 Hidden at the other end of the hotel, the north and east windows open up with a view to the surrounding valley and the stunning starry sky – you might even spot the mesmerising northern lights! 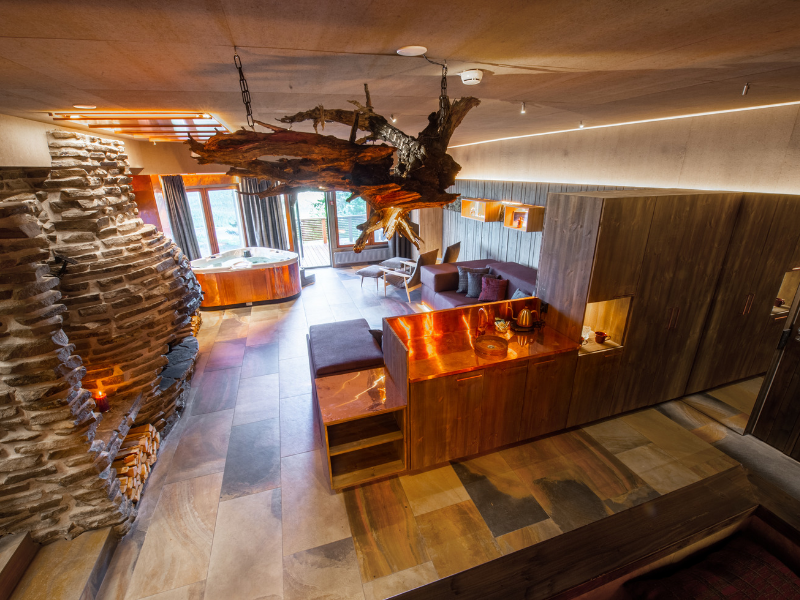 The walls are made from veneered pine, stone and lichen, kelo wood pieces are transformed into seats, big rocks surround the fireplace and tree stumps have become lights. A fireplace in the living area is made of natural stone and dates back to the early 80’s when the hotel was built. 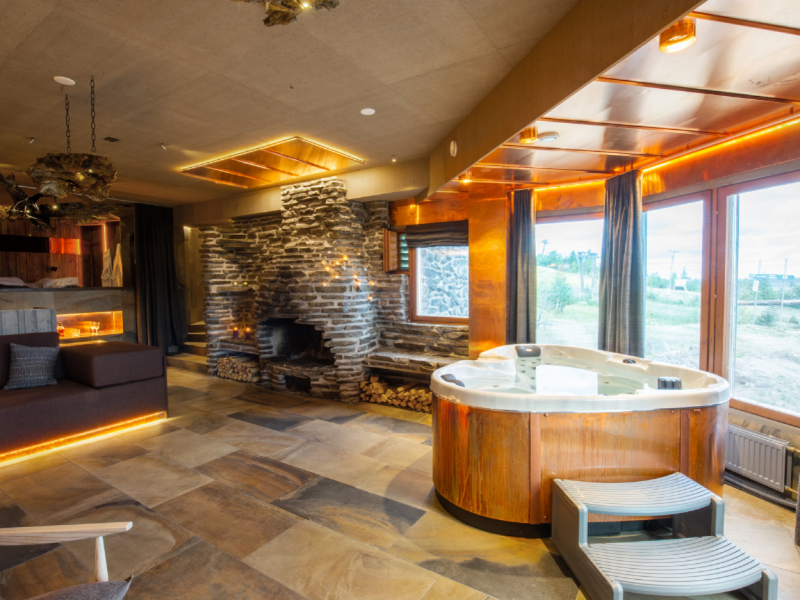 Bathrobes, slippers and firewood are included for all Bear Cave suite guests. 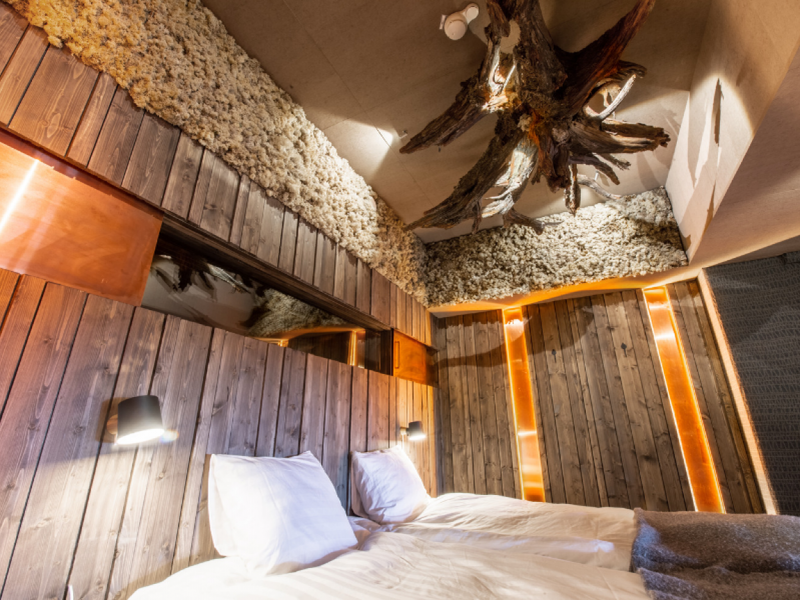 Hide away in the Bear Cave this winter – give us a call or make an enquiry today. The Bear welcomes you!